Wow these paint up fast! 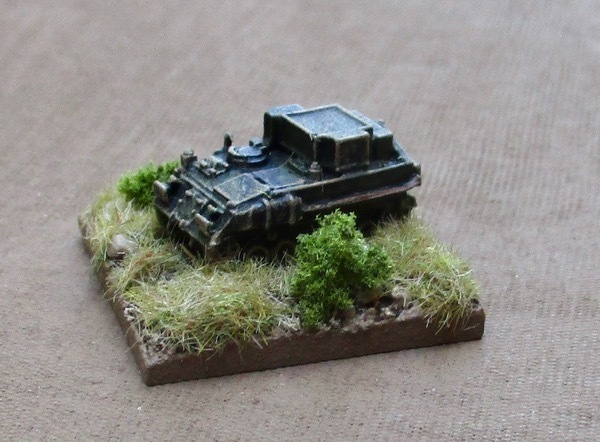 I should have the Warrior IFVs done in no time - then it's on to the Soviets! 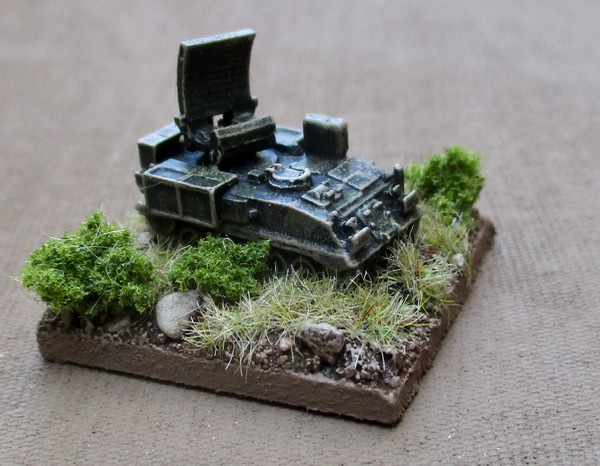 All miniatures are from GHQ models. 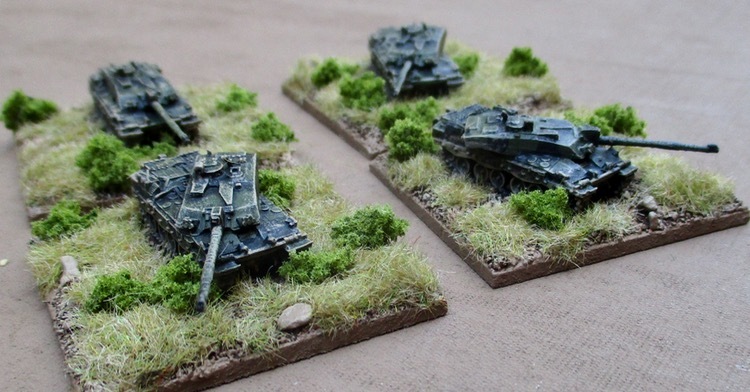 The latest - four Challenger 2 and a couple of signals vehicles for CO/HQ elements. This is an FV436 with a Cymbeline mortar locating radar. It will serve as one of my HQs (or possibly the CO?). This is an FV439 signals vehicle - also to see service as an HQ or CO element. I guess the CO is supposed to look different from the HQ models... Perhaps I'll have to find something else. The boxed set also included for TUMs (Truck Utility Medium?). Not sure what I'm going to do with those just yet. Maybe I'll base them individually as other regular elements and call them Transportation Units. Finally the Challenger 2s. These represent the four troops of an armoured squadron. Then it's back to other projects that have been on hold. Beautiful figures, and a fantastic attention to details on the bases, love this job! Love them! I really like your bases. It seems far to often to me that gamers either don't base Micro Armor (!!!) or base them on golf course turf bases. I like the rough ground that you went with. The gold course bases look silly to me to! At least they're usually on minis that are at last PAINTED (nothing drives me more crazy than seeing people play wit unpainted models). I have to admit it was Curt Campbell of the Analogue Hobbies blog that really inspired me to make bases that are almost like mini dioramas - he really takes it to a whole other level! I always base my micro-armour. All WW2 at present but looking at moderns in the near future. Beautiful work, love the basing. I too am a huge fan of basing my 6mm gear, you can do alot of cool bases and mini dios with it. Very good looking vehicles there.